Written by Martin Luther between 1527 and 1529, this hymn is based on Psalm 46. This Psalm captures the attributes of a God, who is a refuge of His people in times of adversity. It calls to attention the wonderful and mighty deeds of the Lord in defending His people. Psalm 46 is home to the well-known verse, “Be still, and know that I am God;” (Psalm 46:10) which invites us to let go of all our self, inhibitions, and fears, and remain in Him. This is beautifully captured in Luther’s lyrics. This hymn was written by Robert Robinson in 1757, few years after he became a Christian and dedicated his life to ministry. The hymn is based on 1 Samuel 7:12 in which, after the Israelites defeated the Philistines, Samuel setup a stone and called it Ebenezer, meaning “Thus far the Lord has helped us.” Robert wrote it as a reflection of his spiritual journey, chronicling with thanksgiving, his wandering ways and how God’s grace redeemed him. The theme of the song revolves around God’s unsurmountable grace and love. This is the song of every sinner who meets God’s redeeming love. Come Thou Fount of Every Blessing from derrickdrover on GodTube. This hymn was written by Lina Sandell in 1865. Lina and her dad were on their way to Gothenburg and her father fell overboard the ship and drowned. Lina was eyewitness to the tragic death of her father. Lina composed a few hymns out of the depths of her broken heart, and “Day by Day” is one of them. In this hymn, she takes to her Heavenly Father who is sufficient to meet all her needs and care for her. This hymn depicts the cruel realities of this temporal life and the pains and agonies that come along with it. Yet, it points to the promising help of a divine Father amidst these trials and learn to trust and rest in His promises. All my cares He fain would bear, and cheer me. This hymn was originally a poem written by Thomas Obadiah Chisholm in 1923. Thomas accepted Christ as his Savior during a revival meeting and served briefly in Methodist ministry. He retired because of poor health. This hymn was born out of Thomas’ day to day encounter of God’s faithfulness in his life. It is based on Lamentations 3:22-23, which says that God’s mercies fail not, they are new every morning. It was penned from a believer’s reflection on God’s faithfulness, and it serves as a reminder to all believers even this day. 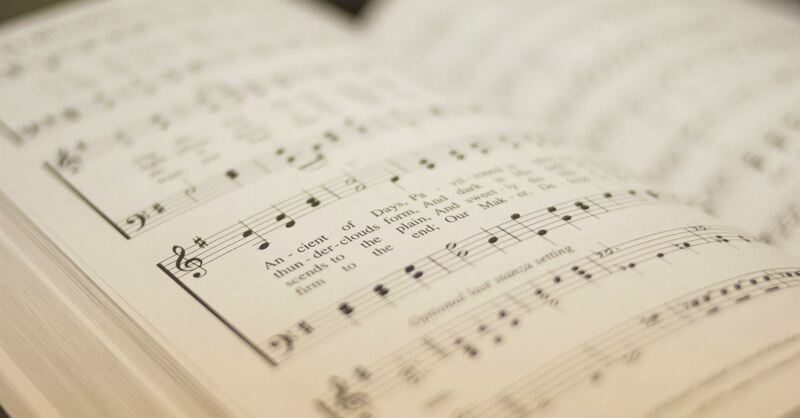 The hymn revolves around Jesus Christ and His love for us, His sacrifice to redeem us, and how one day we’ll see Him in glory. It orients us toward the best story ever told, while giving praise to God. Horatio G. Spafford was a lawyer in Chicago as well as a friend and supporter of D. L. Moody. In November 1873, he made plans to visit Europe with his wife and four daughters. At the last minute, he was caught up in some work and sent his wife and daughters first, on the Ville du Harve, planning to join them later. Halfway across the Atlantic, the ship collided with a vessel and sank rapidly. All four of his daughters drowned. Mrs. Spafford survived the accident. Later, while Spafford was travelling to join his grieving wife, he penned the words to this hymn as his ship passed over the spot where his daughters drowned. Often times, it is very hard, amidst trials and hardships to sing this hymn and actually mean the words “It is well with my soul.” But it’s only by God’s help we can utter those words. He is our help, our strength, and our refuge. This hymn was written by Sarah Flower Adams in 1841. She wrote it based on a request by her pastor who wanted a new hymnal to close his sermon on the account of Jacob and Esau found in Genesis 28. The verses picture Jacob’s dream after he escaped Esau’s hands. This hymn was written by George Bennard in 1912. The hymn took form as a result of George’s deep devotion on John 3:16 and adoration of the work of Jesus Christ on the Cross. He wrote the first verse during one of his speaking events in a revival meeting in Michigan and later completed the hymn during the speaking series in Wisconsin in 1913. ‘The Old Rugged Cross’ – Beautiful Live Performance From Alabama from alabama on GodTube. This hymn was written by Augustus M. Toplady in 1763. One day when Toplady was traveling to a nearby village to preach, he was caught in a storm and took shelter in the nearby gorge. While he was waiting in the narrow gap in the rocks for the storm to pass, he was inspired to write this hymn. The hymn calls to attention the term rock used to describe God in several places in the Bible. “For who is God, except the Lord? And who is a rock, except our God?” (2 Samuel 22:32). That rock was broken for us, so we could be saved from the guilt and power of sin. This hymn was originally written by preacher Joseph M Scriven in 1855 as a poem to comfort his sick mother. Earlier on in his life, he lost his fiancé. He then moved to Canada and devoted his life to serving the underprivileged. The words of this hymn help us find solace in the fact that whatever trials and troubles come our way, we can always find a friend in Jesus. All we need is a simple prayer.